Lisbon is one of the most beautiful, historical and cosmopolitan cities in Europe and holidaymakers flock back year after year in order to enjoy its best-of-both-worlds features – you can have a city break and a beach trip rolled into one there. 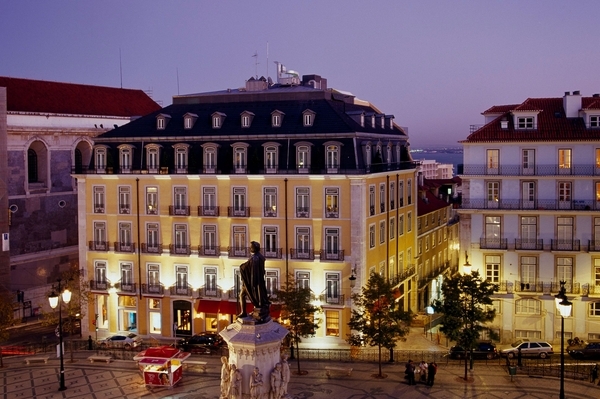 And if it’s luxury accommodation in Lisbon you’re looking for, then you can’t go wrong with the Bairro Alto Hotel, which is a five-star boutique property ideally located in the heart of the historic downtown area. With luxurious rooms and an array of facilities including a massage room and fitness centre at their disposal, guests will feel just like royalty and be sure to have a wonderful stay. Food is an important part of any trip and anyone staying at the Bairro Alto Hotel will be treated to some fantastic dishes if they eat in the integrated restaurant Flores do Bairro on the ground floor, including the wonderful seafood Portugal is so famous for. The windows look out over Luis de Camoes Square and Rua das Flores and the smart-casual, intimate atmosphere make it the perfect place to dine with a loved one. For a jaw-dropping backdrop to a snack or a drink – or even just to a relaxation session – heading up to the BA Terrace on the top floor is an absolute must. Named as the fourth-best hotel-terrace view in the world, it offers guests the chance to look out over the old Lisbon rooftops of Rio Tejo and see the Tagus River glinting in the sunlight. There are chaise longues up there too, just in case the panorama proves too overwhelming for standing. Another hotspot for locals and hotel guests alike is the trendy Cafe-Bar BA, which offers light meals at any time of day (try the famous BA Burger), great live music and has its own entrance on Alecrim Street. Don’t stay within the hotel walls if you go though, as there is an array of Lisbon attractions right on the property’s doorstep, including the Sao Carlos and Sao Luis theatres, the MUDE Design and Fashion Museum, the Santini ice cream shop and the Basilia dos Martires church. A cab ride to the Bairro Alto Hotel from Portela airport takes just 20 minutes, making it the ideal place to book if you want your Lisbon holiday to start almost as soon as you touch down on the runway.